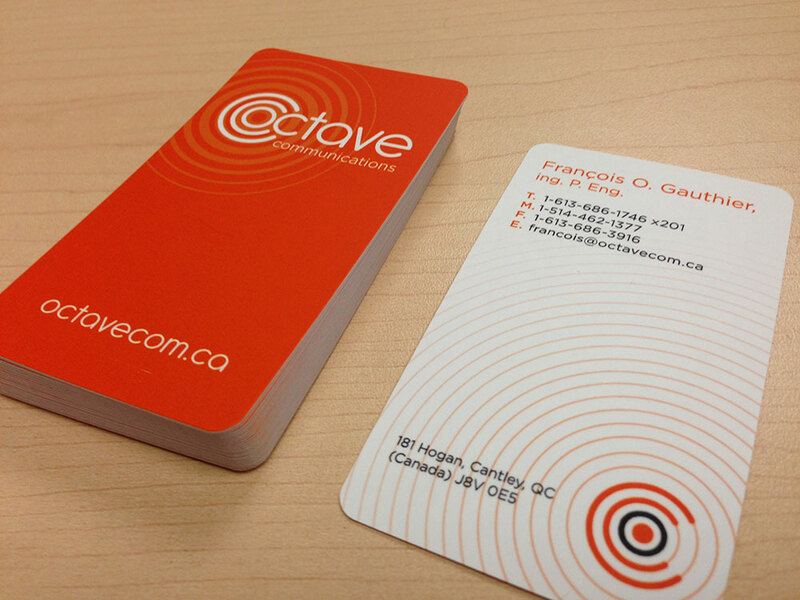 After designing their new identity, my next task was to create business cards for Octave Communications. They needed business cards for an upcoming convention. Since there’s nothing like a special business card to make you stand out, I decided for a better quality card with a thicker paper and a 4 corner round die-cut. 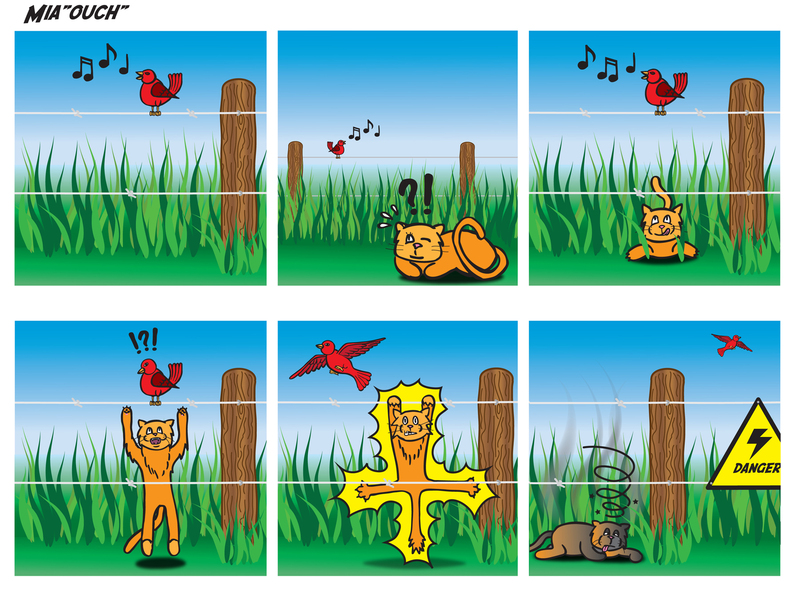 The card was created vertically as a reference to a radio broascast tower. The front of the card feature the Octave logo in white over a rich orange color with radio waves emitting from the logo. The back of the card also makes reference to broadcast waves along side the information. Last semester, I designed a simple box packaging for a brasillian papaya. 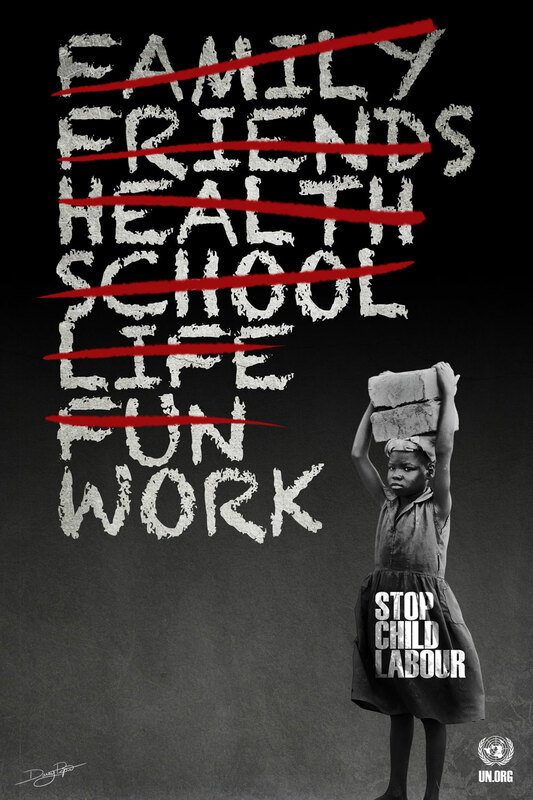 This semester our task was to design a cosmetic product packaging for women or men. So to challenge myself and since this project was focused on die-cuts, I decided to create a uncommon shaped box for both women and men. 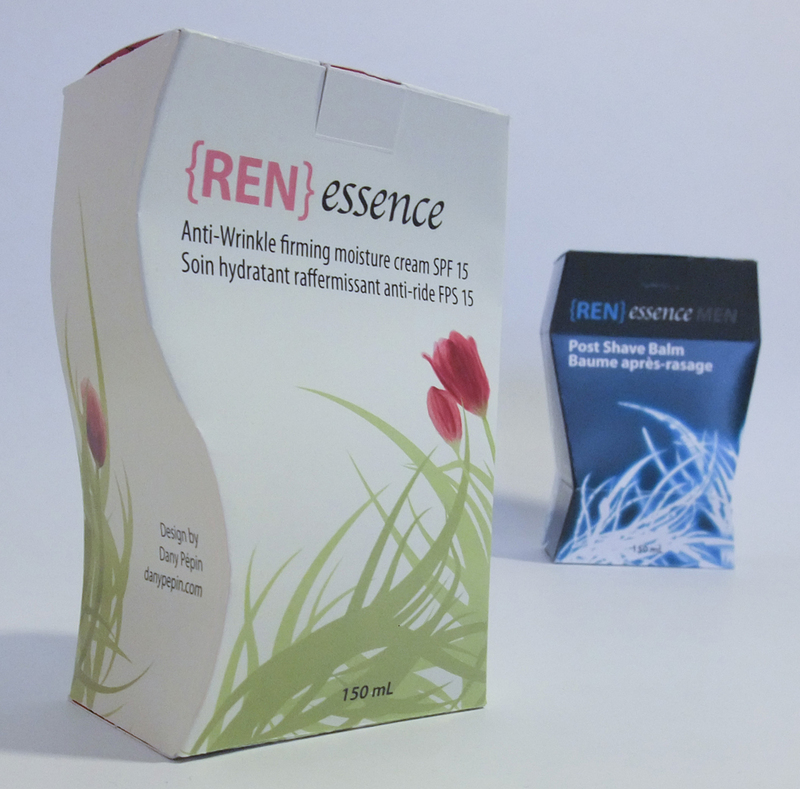 I created a fake name « [REN]essence » playing with the word « Renaissance » which was appropriate for a anti-wrinkle cream (women) and a shaving balm (men) since it rejuvenate the skin. 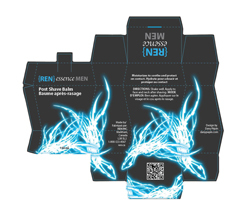 The packaging for men is dark, robust with sharp angles and gives the impression of man’s silhouette. The addition of blue glowing blades is reminds the customer that this is a shaving product and gives a techno vibe to the product, something men are attracted to. 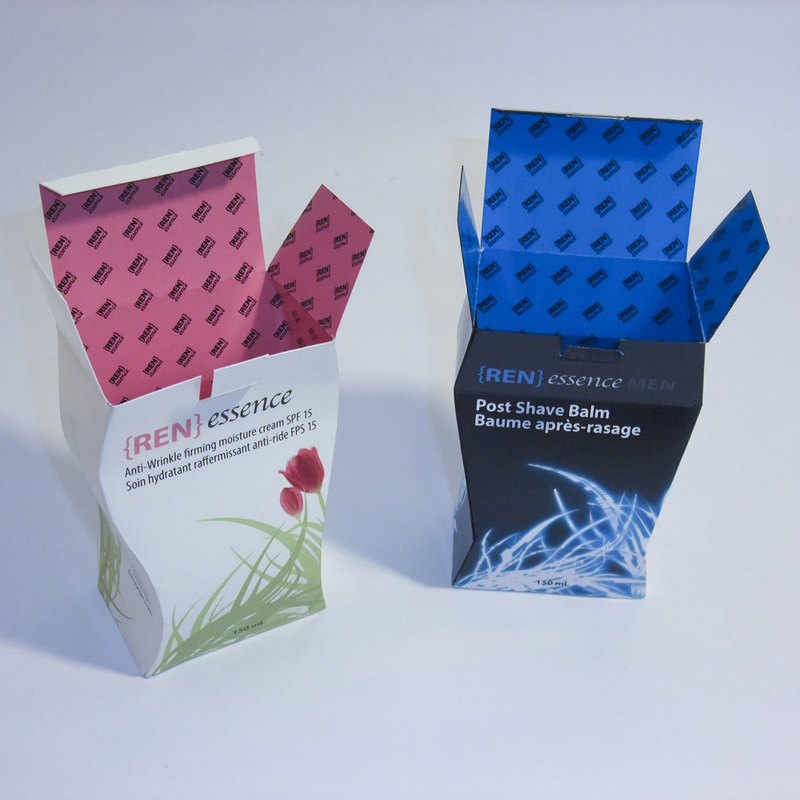 The inside of the box is composed of the « [REN]essence » logo arranged in a simple pattern on a blue background. The packaging for women is cream colored with smooth curves that also mimics the silhouette of the targeted customer. The addition of flowers and leaves gives away a feeling of rebirth and rejuvenation which is the purpose of the anti-wrinkle cream. 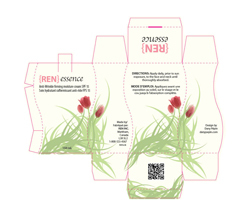 The inside of the box is composed of the « [REN]essence » logo arranged in a simple pattern on a pink background. If you look carefully, the shapes and directions of the blades on the men’s product matches the leaves on the women product. 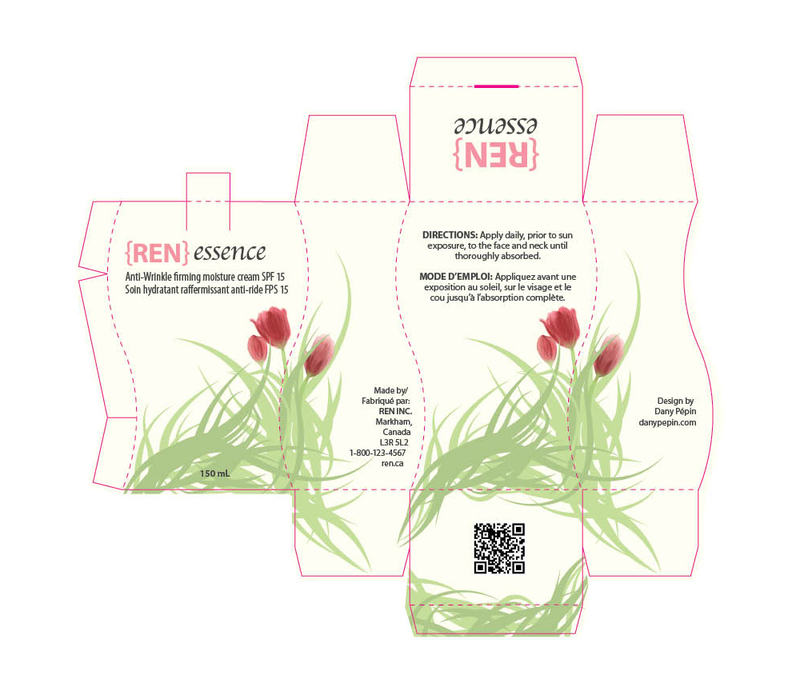 This was designed to create unity between both product of the « [REN]essence » brand. Finally, here are the boxes layout with bleed and die-cuts lines visible.